This is part 2 of a 2-part series that The Ambulatory M&A Advisor is doing over the Red Flags Buyers don’t like to see in M&A Urgent Care Transactions. Urgent care center buyers can never be too cautious when it comes to making an acquisition. 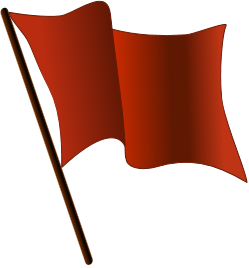 By analyzing any red flags that an urgent care center (UCC) displays, buyers can make smarter decisions. Part 1 of this series explained why unsophisticated legal and financial advisors, undesirable locations with low patient volume, regulatory action, cultural disconnect and poor management and staff were red flags in urgent care center transactions. Part 2 will explain five more red flags that stand out to buyers when considering an acquisition: adjusted EBITDA, consolidated financials, incorrect contracting of providers, bundled services and discrepancies in revenue. Bill Miller, CEO of CRH Healthcare, LLC and an operator that has completed three urgent care acquisitions in the last two years, says that as a buyer, he doesn’t want to see an adjusted EBITDA that doesn’t reflect the reality of the ongoing operations of the center(s). “The organization will still need to market, be managed and pay owners-turned-employees,” Miller says. Without these proper adjustments, it makes it difficult for buyers to get a sense of what a center’s EBITDA actually is. “Adjusted or normalized EBITDA could point to owners salaries/bonuses, rent above or below market value and legal issues, so it’s important to understand the adjustments,” Alan Ayers, Vice President of Corporate Development for Concentra Urgent Care, says. If it’s hard for buyers to tell what the actual EBITDA of a clinic is, it may deter them from making the acquisition. If buyers fail to dig deeper and uncover all of the center’s finances separately, they could get stuck with an under-performing center that isn’t worth the investment. “Providers hired as independent contractors who are not appropriately classified as employees could result in understated personnel expenses,” Ayers says. Dickens also says it’s important to check and see if the providers are required to be credentialed under the payor contracts. According to Ayers, understanding whether or not the providers, staff and/or owner(s) plan to remain with the practice is also critical. If additional staffing is necessary under new ownership, that may deter buyers from making an acquisition. If buyers will have to hire new providers and fix a poor credentialing process to get them contracted with payors, that is definitely a major red flag and buyers will be less willing to acquire. Sellers may think that performing extra services in their centers may increase their chances of making a sale, but that is a red flag to some buyers. Clinics that focus solely on urgent care can avoid some of the ambiguousness of performing multiple services. “Certain buyers will look for ‘pure-play’ urgent care centers because that’s the most straightforward and understandable format for the healthcare consumer,” Dickens says. If a clinic specializes in multiple fields, then consumers may become confused, and opt to go elsewhere. This will lower patient volumes, and raise even more red flags for buyers. “If the seller’s gross revenue per visit (GRV) significantly exceeds the buyer’s typical GRV, that could indicate an issue with coding,” Ayers says. Dickens also says to pay attention to what a center includes in its patient volume. Sometimes, patient volume includes low-priced sports physicals, free flu shots and other campaigns that the clinic will run. Retaining providers after a sale is also important for avoiding discrepancies in revenue. In order to avoid this potential problem, Dickens says buyers can have the physician owners sign a non-compete, non-solicit contract with provisions that they will continue to work at the center after the transaction is complete. In addition, buyers can negotiate hold-backs of a portion of the transaction proceeds. These hold-backs can be released after physician owners have continued to work in the acquired clinics for an agreed period of time post-closing. This can help prevent a large discrepancy in revenue after an acquisition. In M&A urgent care transactions, buyers will have to sift through a lot of red flags to determine if a center is worth acquiring. But taking the time and effort to do so will result in a smarter acquisition decision. It is not quite easy to receive funds through other external resources, generally to deal with health care needs. Very pop penicillin antibiotics that fights bacteria. These drugs does not treat a viral contagion like a common cold. Kamagra is a cost effective remedy for helping men to sustain an erection. What about online cialis and cialis online? When you order medications like Kamagra you have to know about how to buy cialis safely. Other matter we are going to is undefined. Like many other medicines, Kamagra is also classified ergo of it’s active ingredient. Keep reading for a list of medicines that may cause health problems and what you can do to prevent probable side effects. The most common perhaps serious side effects of such medications like Kamagra is back ache. This is not a complete list of feasible side effects and others may occur. Internet is a unimprovable way to find a physician in your area who treats this kind of malfunction.